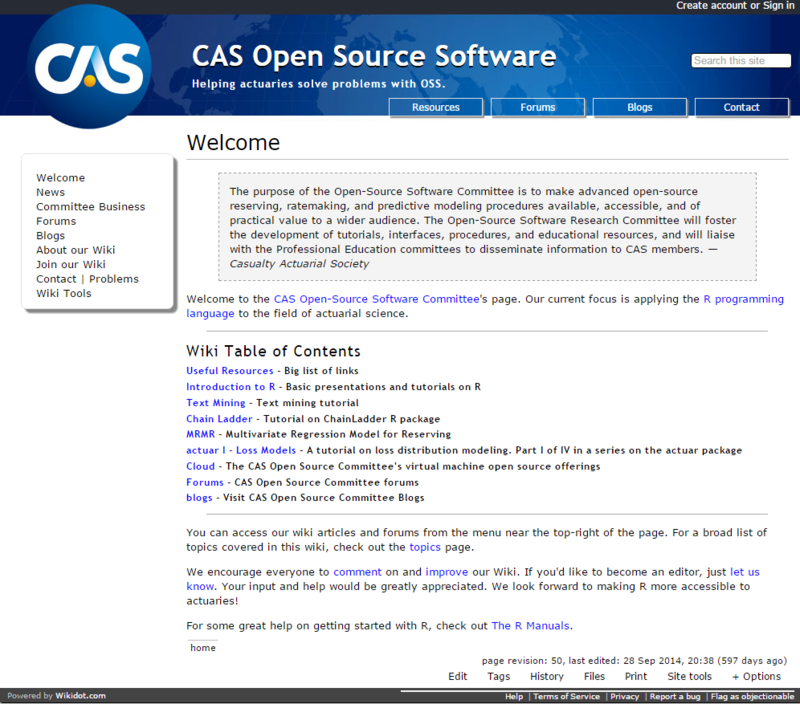 Over the past several years, two CAS research committees have developed wikis that are open to CAS membership as well as the general public. They were created with the goal of providing content and learning materials to anyone who is interested. Committee Business: See various projects OSSC members are currently working on. Forums: Members use forums for online discussions on a variety of topics. Blogs: Two works have made it to the blog page, including Greg McNulty’s recent helpful and reproducible post “Modeling ALAE Using Copulas.” For other works in progress, see Committee Business. Health Care in Workers’ Compensation. Five additional archived topics are also available to explore. The individual pages provide important readings, CAS and industry publications and presentations, and links to useful websites. Each page is a living document and is updated periodically as new information becomes available or as current listings become outdated. CAS members are invited to log into the wikis and learn more about these exciting topics! 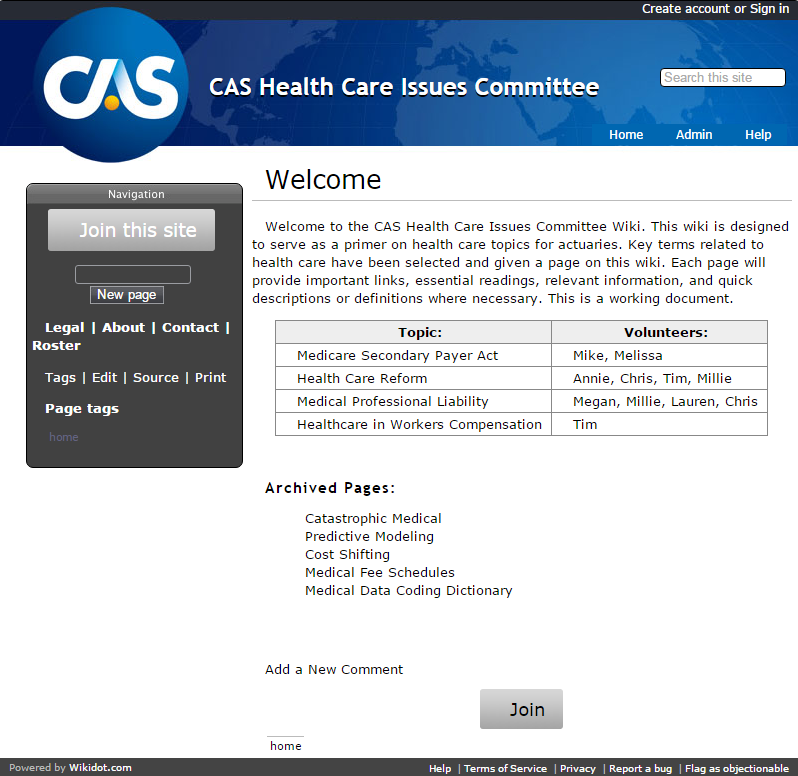 This blog is culled from The CAS Launches Research Committee Wikis, printed in the May-June issue of the Actuarial Review.